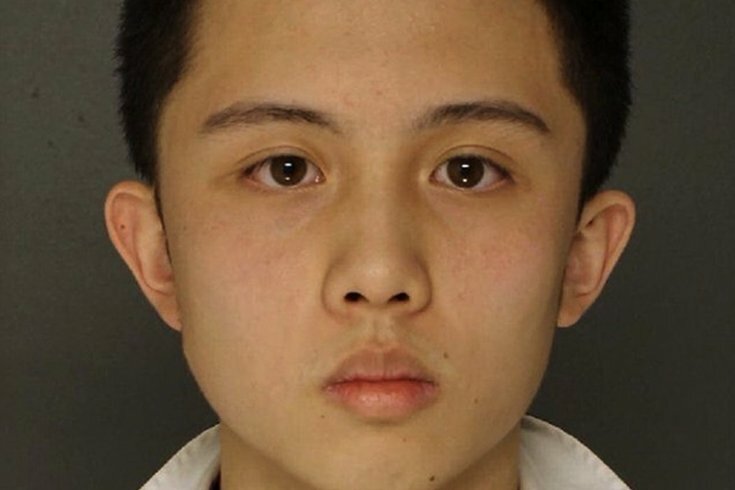 An Tso Sun, 18, an exchange student from Taiwan, is charged with making terroristic threats against his school, Monsignor Bonner and Archbishop Prendergast High School. He said it was a joke. The 18-year-old student charged with threatening to shoot up a Delaware County high school liked guns and flamethrowers, and wanted to become a police officer, according to friends and acquaintances. An Tso Sun, an exchange student from Taiwan who was arrested Tuesday, was "a child who really cares about things," a tutor told the Associated Press. “He was an extremely simple and kind student, yet he would often have unusual ideas,” said Cheng Wei-ting, a tutor who home-schooled Sun in Taiwan’s capital, Taipei. A friend of Sun's father, Tuo Zong-kang, told reporters Thursday that the teen wanted eventually to study criminal psychology at an American university. According to Upper Darby police, Sun threatened to begin shooting on May 1 at his school, Monsignor Bonner and Archbishop Prendergast High School. He had ammunition, a military-style vest, ammunition clip pouches and a high-powered crossbow in the Lansdowne home where he was staying, authorities said. Sun subsequently claimed the threat was only a joke, but was charged with making terroristic threats after his arrest. Sun, who remains in Delaware County Prison in lieu of $100,000 bail, has a preliminary hearing scheduled for April 11. Read the Associated Press' full story.